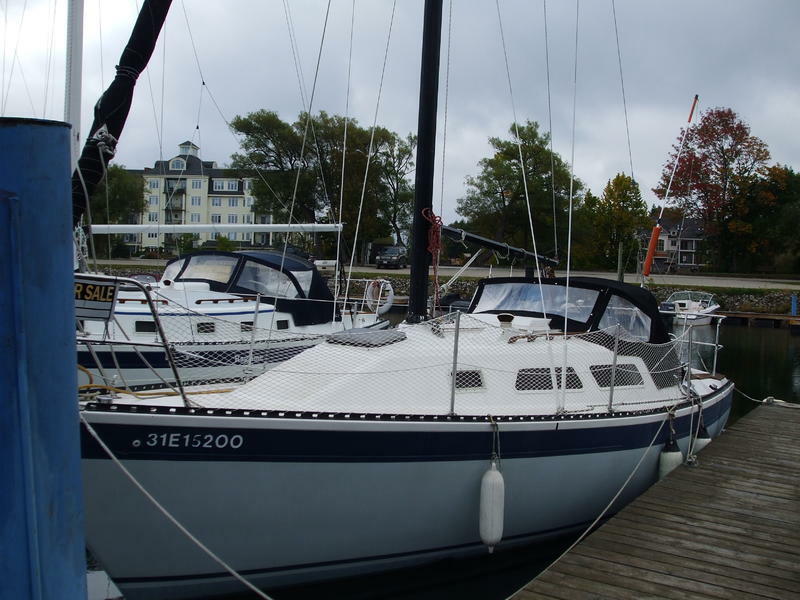 Joss, is a well sorted out yacht for racing or cruising, recently upgraded with a furling genoa. We still enjoy sailing her with the previous owner who bought her in 1986. Our new boat has arrived and we must sell! All systems are ready to give you a full season of pleasure on the water. The Aloha 8.2 incorporates a skeg, en essential often missing on yachts of this size, to add strength to the rudder. Both are placed well aft. Her moderate fin keel assures good tracking. on any tack, in any weather. To compliment hull speed, weve selected a fractional rig to allow for the maximum performance with a minimum sail inventory. The fractional rig also makes the 8.2 easy to control, so you can relax and enjoy the spirited sailing. Below decks youll find a warm, welcoming layout spacious enough to satisfy those couples with longer coastal or inland cruises in mind. The galley is purposeful with plenty of stowage. Aft to starboard you’ll find the navigation station, another feature often left out on other 27s. The port settee is curved to form a more comfortable conversation area around the bulkhead-mounted table. When not in use, the table folds up, out of the way. into the forward V-berth. The forward berth is private and roomy for a captain and mate. Two guests can be comfortably accommodated on the pull-out settee in the main saloon. Autohelm (Raymarine) tri-data speed, depth, temp. Marine head w/ holding tank 7yrs new. Radar reflector – new L.E.D. anchor light on top of the mast!